It seems like, we are not enough to see Mr.P's self-suffering. He's tried harder and harder for being around the girl he loves. 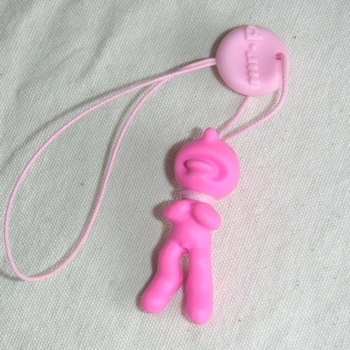 Mr.P ONE MAN DIE, the mobile phone strap with his craze for love. Mr.P's death wish becomes true! Mr.P hangs his head to your mobile phone just for you. You can hang up with anyone, but Mr.P will always hang on to you. 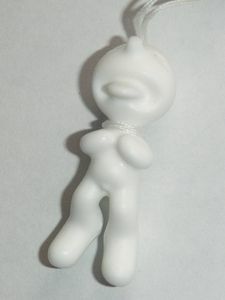 Take the stubby Mr.P with you, he's ready to die for you!